/ Modified jan 26, 2018 11:20 a.m. The measure is meant to crack down on excess opioid prescriptions, among other things. 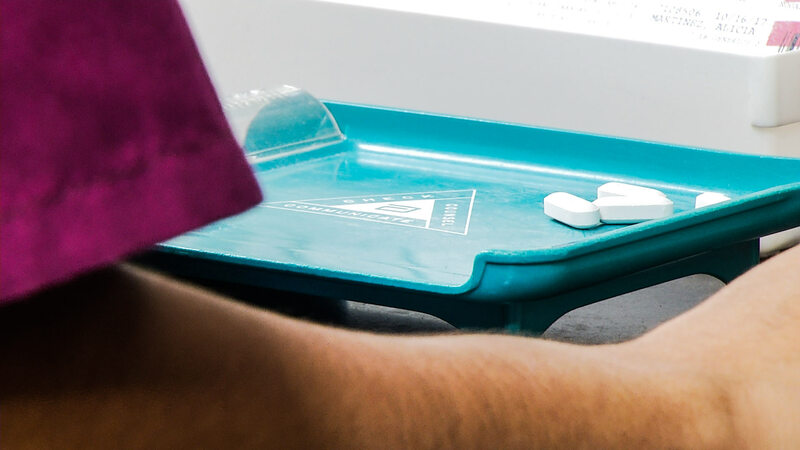 A health worker portions out pills. Arizona Gov. Doug Ducey Friday morning signed into law a bill to to crack down on excess opioid prescribing and add other regulations designed to cut down on addictions and overdose deaths. The Arizona Legislature unanimously approved the proposal Thursday despite a number of majority Republican lawmakers who had expressed deep concerns about parts of the proposal. Ducey had called a special session of the Legislature to give the measure a high priority and allow it to pass quickly. The law bars doctors from prescribing more than an initial five-day supply of pain medication in most cases, boosts pain clinic regulation and adds $10 million to help uninsured and underinsured people get addiction treatment. It requires electronic prescriptions for narcotics by early next year in large counties and by mid-2019 in smaller counties. It also places limits on the maximum dose most chronic pain patients can be prescribed, and requires a consultation with a pain specialist for new high dosage prescriptions. Republican objections came to light in a televised Republican caucus meeting Thursday. Rep. Eddie Farnsworth, R.-Gilbert, objected to a provision in the law that protects people from prosecution if they call 911 to report an overdose. "This is actually a very concerning piece of legislation," Farnsworth told the other Republican House members. "And because we're ramming this through in such a short period of time, we're not getting or not having the ability to really have a say, in my opinion, a legitimate effect as a member on the language and we're not getting all the facts." Farnsworth claimed the immunity provision is being pushed by an organization that wants to legalize drug use, and he says it sets a bad precedent that could end up in other laws as well. Ducey wants 911 callers given immunity so that people don't hesitate to get treatment for a person experiencing an overdose. Instead of making quick work of the opioid bill Thursday afternoon, the House and Senate were delayed for hours by wrangling over details of the proposal.